Gichin Funakoshi (船越 義珍) Funakoshi Gichin was born on 10 November 1868 in Shuri, Okinawa. He is the founder of Shotokan Karate-Do, perhaps the most widely known style of karate. 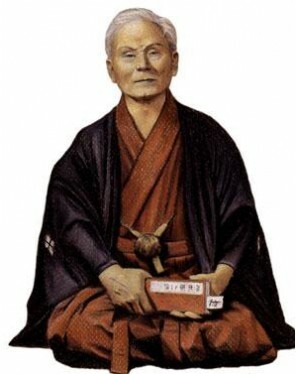 Funakoshi is popular as the "father of modern karate".Following the teachings of Anko Itosu, he was one of the Okinawan karate masters who introduced karate to the Japanese mainland in 1922. Gichin Funakoshi taught karate at various Japanese universities and became honorary head of the Japan Karate Association upon its establishment in 1949. In 1930, Funakoshi established an association named "Dai-Nihon Karate-do Kenkyukai" to promote communication and information exchange among people who study karate-do. 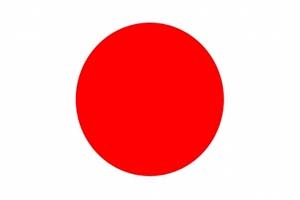 In 1936, Dai-Nippon Karate-do Kenkyukai changed its name to Dai-Nippon Karate-do Shoto-kai. The association is known today as Shotokai, and is the official keeper of Funakoshi's karate heritage. In 1939, Funakoshi built the first Shоtоkan dojo (training hall) in Tokyo. In 1949 Funakoshi's students created the Japan Karate Association (JKA), with Funakoshi as the honorary head of the organization. However in practise this organization was led by Masatoshi Nakayama. The JKA began formalizing Funakoshi's teachings. Funakoshi was not supportive of all of the changes that the JKA eventually made to his karate style. Funakoshi died of Colorectal cancer in 1957. As the most widely practiced style, Shotokan is considered as a traditional and influential form of karate do. 1. Karate begins and ends with courtesy. 3. Karate is an assistance to justice. 4. Know yourself first, before you know others. 6. Be ready to free your mind. 7. Accidents come from laziness. 8. Karate training goes beyond the dojo. 9. You will never stop learning in karate. 10. Apply karate to everything. Therein lies it’s beauty. 11. Karate is like boiling water. If not given heat, it will go cold. 12. Do not think of winning. Instead, think that you must never lose. 13. Make adjustments according to your opponent. 14. The outcome of a fight depends on how you handle weaknesses and strengths. 15. Think of hands and feet as swords. 16. When you step outside your own gate, you face a million enemies. 17. Fixes positions are for beginners: later, one moves naturally. 18. Kata is practised perfectly, real fight is another thing. 19. Hard and soft, tension and relaxation, quick and slow, all connected in the technique. 20. Think of ways to apply these precepts every day. Funakoshi wrote: "The ultimate aim of Karate lies not in victory or defeat, but in the perfection of the character of the participant".